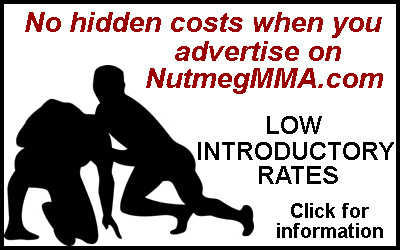 This site is intended to provide news and features about Mixed Martial Arts with a focus on Connecticut. The sport, which is known as MMA, has a presence in the state despite not being currently sanctioned. Content will include interviews with fighters, trainers and promoters as well as coverage of events at the Uncasville and Mashantucket Indian reservations where MMA events can be legally held. The site will also cover traditional martial arts and other combat sports as it grows due to the relationship between MMA and these subjects. The direction in which the site grows is still being determined. Suggestions from visitors are appreciated. Brian Woodman Jr. has worked as a reporter for different community and daily newspapers since 1994. His first major published piece on the sport, "Why MMA should be legalized in Connecticut," was published in 2010 for the Hartford Advocate. He also interviewed UFC legend Royce Gracie for the Hartford News in 2009. 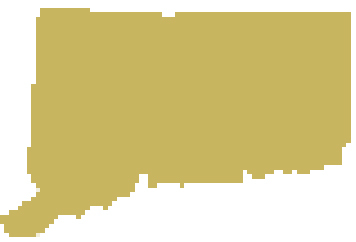 He has written all of the stories on this website since May 2012. He earned a BA degree in communications at Central Connecticut State University. 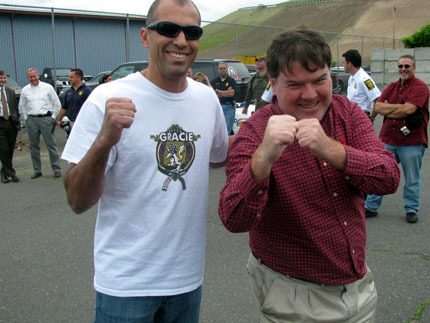 Royce Gracie (left) and Brian Woodman Jr. (right) behind the Hartford Police Dept. in 2009. Royce Gracie demonstrated jiu-jitsu techniques for Hartford, CT police officers in 2009. Kathy Raymond is a website designer for small business owners and creative people. 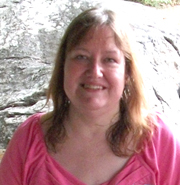 She has had many years of experience as a graphic designer and proofreader. She became interested in MMA after watching events on TV with her life partner, Brian Woodman Jr. She is also a poet who has been published in small magazines. She earned a BA degree in English at Central Connecticut State University.